Learn how to draw this easy apartment kolam with step by step pictures and full video. First keep the dots. This is a 7 to 4 interlaced type of dots. That is first keep 7 dots in the middle . Then, below it, keep dots in between the 7 dots slightly below so that 6 dots comes in this line. (the spacing should be roughly equal in all sides) continue the same next line, so you will end up in 5 dots now. last line will be 4 dots. Same way keep dots above too. The end result should be like in the picture. Note that all the dots are roughly spaced evenly. 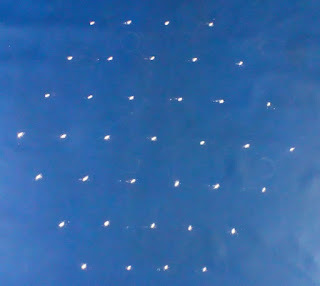 Continue to draw and finish the kolam by having the dots as guidence and connecting it to represent the desired result. 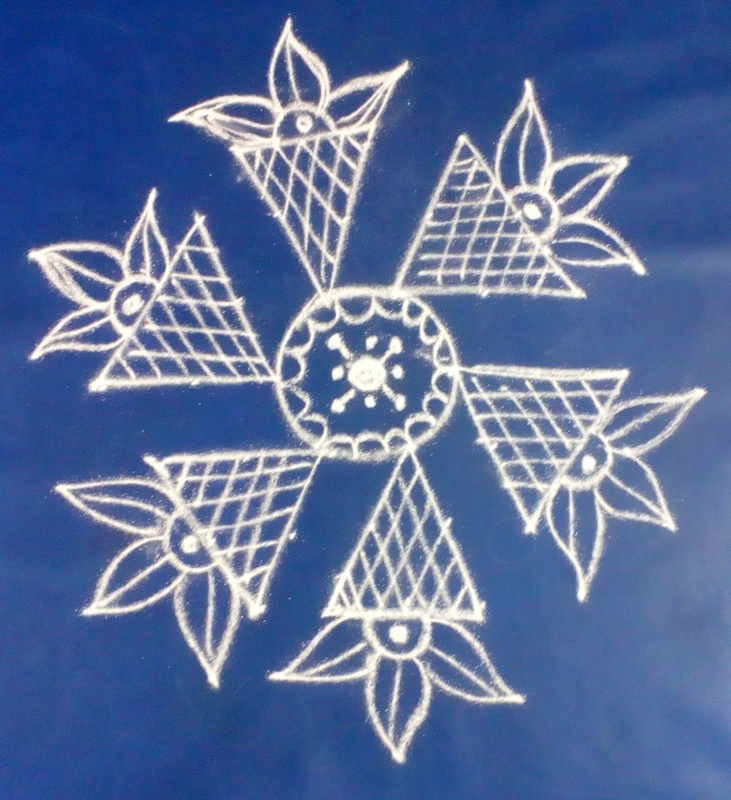 Watch the video to learn the kolam. This is an easy apartment kolam with dots 7 to 4. Please watch the video & try this one. Hope you enjoyed this kolam. Do try and share your pictures through our facebook Page.